If you can't make the site do what you want, or just don't understand something, check here first. If your problem isn't described here, email the Webmaster. ARTICLES - How do I upload an article' that I've written? You can't upload documents yourself into the Articles pages. Please send them to the Webmaster who will forward them to the appropriate contact. You can also freely use the 'Box' online file storage system which can be found at the bottom of the Members' pages. BROWSERS - What browsers does Wild Apricot support? Wild Apricot (the online software that hosts the site) say, "Please use the latest versions of one of these compatible browsers on Mac OS X or Windows: Internet Explorer, Firefox, Google Chrome or Safari. Each new version of WA is tested with the latest available version of each browser. We also retest as soon as we can whenever a new browser version with major changes is released. While other browsers may work well for members and visitors they may not support some ... (of the JRA's) ... administrative functions." While members report success with mobile browsers such as Google Chrome on Android phones, WA say that "Mobile browsers do not ... provide support for crucial functions such as email and page setup". My iPad Mini seems to work fine as a reader or post editor, but as WA say, not for page design. WA's full statement re browser compatibility is here. Wild Apricot recommend clearing your browser's cache if the page isn't displaying what you expect, e.g you've updated your profile image and you're still seeing the old one. How to do that is explained here. EMAILS - JRA - RECEIVING - Can I choose what JRA emails I receive? Except for workflow ones, you can unsubscribe from emails via your Profile or by clicking the Unsubscribe link contained in emails. If you unsubscribe from a particular category of email you'll no longer receive that type, but you'll continue to receive others; for example you could choose not receive Event announcements but still receive all other JRA emails. You can't unsubscribe from workflow emails such as membership renewal reminders, event registration confirmations, invoices, or payment receipts, for obvious reasons. FORA - LINKS - How can I insert a link into my post? After writing your post, save it. Locate the web page that you want to link to, and copy the URL by triple-clicking on it and then simultaneously pressing Ctrl and C. Returning to your post, highlight the text you want to turn into a link, then click on the 'Link' button, which is above the writing area. Click on 'Insert link', then paste the text (simultaneously press Ctrl and V) into the 'Website URL or email' box. Add a tooltip (text that will appear when you hover over the link - optional) then click 'Insert link'. 'Confirm' your post and check your link works. FORA - LINKS - How can I link to or insert an image in my post? Please read this document for information on pasting or linking to images in your posts. FORA - POSTS - What and where can I post? How do I to find old posts on my topic (thread)? WHAT - General guidance on what to write and how to say it is here. WHERE - See the fora summary page here and use the most relevant one, or respond to a post on Members' Area > Recent Posts. If your post could have been in a more relevant forum - and if the web team have time - we'll move it. If you notice you're drifting 'off topic', please start a new one! That bit of extra effort on your part can save us lots - they add up. Please try to post in an existing thread (Wild Apricote call them 'topics'). If you start an new one, and if we catch the 'error' in time, we may 'close' the newest thread and move the latest posts to the old one. Note: Wild Apricote doesn't offer a forum indexing system - if it did we could make posting easier by listing threads in each forum. Unless you know there was a related recent post - or you step through old posts this problem can be difficult to avoid. For each of the above 'time bandits' we try to send you an email to let you know what we've done. FORA - PASTING - Can I paste from e.g. Word into a post? One of the reasons people like to write their posts in e.g. Word rather than straight into a forum is to spell check before posting (see SPELL CHECKING below). Snag is your careful Word formatting can go wrong once it's arrived in your post. It's best to type straight into the post and use the tools above it to do any fancy formatting. If you must paste into a fora, after pasting use the 'Clean up HTML' button (looks like a paintbrush, hover over it to check it's the one), which does it's best to clean things up. If you don't see that brush, you're probably using an unsupported browser. You can read Wild Apricote's Help page about this here. Posting on the General or Technicall fora? Remember that these are open for non-members to read, so there are a couple of things to consider. First, take care with how you address and name other members - just their first ('given') name in your post is probably best. Second, configure your Profile to display only what you're happy for the world to read and see. The 'Privacy' section of your Profile is where to modify that, by setting what can be seen by the various types of visitors: 'anybody', 'members' or 'no access'. HOME PAGE and MEMBERS' AREA landing page - Why so few photographs ? We keep the number of images to a minimum so that anyone with limited or expensive internet access doesn't download images they'd prefer not to. LINKS - EXTERNAL- How can I add links to the 'External Links' page? MANUAL - Where can I find the full manual for this website? Check the Wild Apricot Online Documentation. 'Non-techie' users may find little help here, but if you're thinking of becoming part of the group that looks after the site this will give you an idea of what's involved. MAPS - How do I add my boat to the maps in Directories > Members/ Boat Locations? We no longer expect members to add their own boat locations to our location maps - the process was fairly arcane and many members struggled with it. To add your boat to the boat location maps, e-mail the Membersip Secretary or the Webmaster, including name of boat, name of owner, location (lat and long, or name of port) and any other (brief) information you would like to include. The renewal amount that's configured in PP doesn't match our current fees (£7 p.a. for JRA Membership or £26 to include a snail-mailed printed magazine. If PP's first try fails it may try several times before giving up. Alternatively it may take an incorrect amount, e.g. £23, being our 'old' fee for membership plus printed magazine. You can help by checking before auto-renewal happens that the amount to be collected is correct. 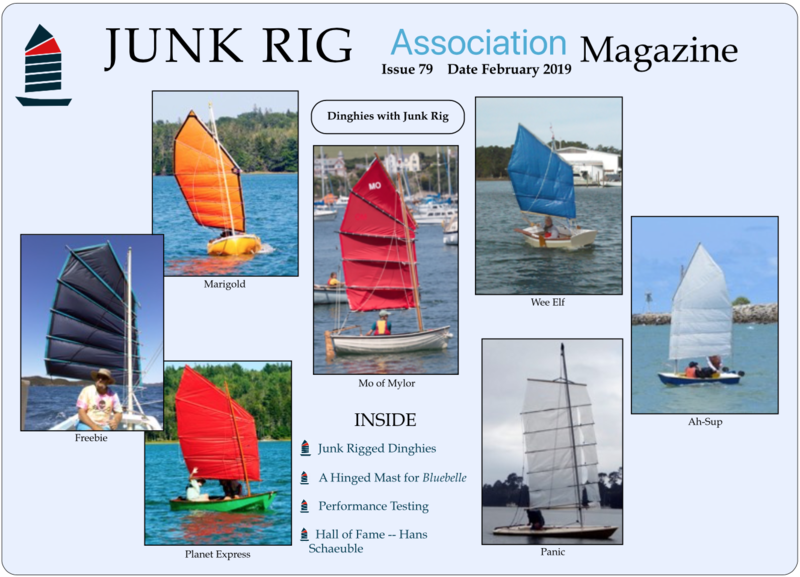 Email treasurer@junkrigassociation.org for help, with a copy to membership@junkrigassociation.org. You can pay by cheque, or by bank transfer - see your membership renewal e-mail for details of this. You can also pay our Treasurer directly via PP by logging in to Paypal and sending the payment to treasurer@junkrigassociation.org, If you don't have a Paypal account and wish to pay by debit or credit card, contact the treasurer and request a custom invoice for a credit card payment via Paypal. MEMBERS' LOCATIONS - How do I find out who lives near me or keeps a boat near mine? explore our Sailing Services section to find members offering trial sails or who need regular crew! click the (new) pie chart below, bottom right. explore Directories > New members to see those who joined in the last three months, by country. Your internet connection may be slow right now (congested mobile network or too many people using the copper cable that feeds your property), so try again some other time. If the PDF loads but displays in a 'tab' on your browser and you can't figure out how to save it, try right-clicking and using the 'Save as' option. From Paul Thompson (1.2.2012): "The next version of Firefox will no longer support Adobe Acrobat, Silverlight or Java unless you specifically enable it, as these programs have become major vectors in the transmission of viruses et al. So whatever version you're using, it's best to set up your browser's options to save the file rather than immediately display it." PHOTOS - FORA - How do my 'avatar' photos work? The Technical forum and the General forum display a photo of the member's boat, and all other fora display a photo of the member, so long as they've taken the trouble to upload one into their Profile. If they haven't, then the 'anonymous' silhouette is displayed. Some members, being shy, upload a boat picture in both places, but we'd rather see a personal photo. It gives a better idea of who we're talking to. PHOTOS - FORA - I've uploaded my photo - why don't I see it? If you upload a photo but it doesn't appear as you expect, try clearing your browser's cache. Here's how to do that on Firefox. PHOTOS - ALBUMS - How do I add photos to the JRA photo albums? Go to the appropriate album for the photos that you want to upload. As a logged-in member of the JRA, an 'upload photos' button should be visible to you. Click on this, and then browse your own computer for the photos. Add up to five, and then click on 'Upload'. After the photos appear in the album, please click on each one to add a caption. Captions are the only way casual viewers will know what images are meant to show. PHOTOS - ALBUMS - How do I start my own photo abum and look at someone else's? Click on 'View Profile' next to 'Login/logout'. Click on 'Photo albums'. Click on 'Add albums'. Write a title and description for your album, then click on 'Submit'. Click on 'Upload photos' and then browse your own computer for the photos. Add up to five, and then click on 'Upload'. After the photos have appeared in the album, please click on each one to add a caption: captions are the only way casual viewers will know what images are meant to show. There's more information about this here. The maximum number of images you can have in one album is 50. If you try to upload another, you'll get an error message. Since you can have more than one album, the solution is simple - start another. The maximum size of each is 25 Mb. To see someone else's photo albums, go to Directories > All members and use the 'search' box to locate the member. Click on his/her underlined name. Once you get to the member's Profile look for 'Member's photo albums'. From a forum post, click on the underlined name of the member and do the same. PHOTOS - ALBUMS - How do I include a link to an image in one of my own photo albums? The URL that you use to edit your own Profile is different from the URL that other people use to 'view' your profile - obviously you do not want other people to be able to edit your record, so the URLs cannot be the same. To get the URL that others can use to view your Profile albums you need to click on My Directory Profile first, which gives you the 'public' profile that others can use to access your albums. From the My Directory Profile page you can then access your albums to get the correct URLs to give others. The My Directory Profile link is on your Profile page, to the right of the [Edit Profile] button; see http://help.wildapricot.com/display/DOC/Member+and+contact+-+edit+profile#Memberandcontact-editprofile-Viewingandeditingtheprofile. Rule of thumb: If you see an edit / upload / delete button on that page (anything that allows you to change something) then you should NOT give others that URL because it only works for you: the url will just take each user to their own profile or result in a 'Resource not found' message). The Technical and General fora display your boat's photo, since those fora are visible outside of the 'members' area. All of the other fora display your personal photo, if you've uploaded one; if you haven't, the site will substitute a 'dummy'. Most members choose to show their face! PHOTOS - FORA - Why isn't my photo the one I want? Try clearing your browser's cache. Here's how to do that on Firefox. PROFILES - How do I find my membership profile? Click View Profile at the top of this page. The screen has several sections, each of which can be accessed by clicking the relevant 'tab'. Remember to save your profile after making any changes. We recommend checking it every time you download or receive a magazine by snail-mail - and especially if you don't! PROFILES - PRINTING - Can I print my Profile? The print button isn't obvious, but if you look at the top right hand side of your Profile, level with where it says 'My profile', it's there - a small picture of a printer. You may have to scroll to 'reveal' it - it may depend on what screen resolution your PC, Mac or tablet is set to. Click on it to print. SEARCH - Does the site have a search facility? We have an internal site search facility on the Members' page. This can search through all the content in the password-protected members area, unlike the generic Google search that you will find on some of the public pages. Use it to find that elusive piece of information that you remember seeing on the site pages or in the fora, somewhere, a while ago, but for the life of you, you can't remember where and when you saw it! SPELL CHECKING - Does Wild Apricot provide a spell checker? Fora posts are spell checked as you type, but appear to use a US dictionary at this stage. However there's a spell check button above the post area: an 'ABC' over a 'tick'. This can check your post so far or your whole post and, WA say, offers suggestions from built-in English and US English dictionaries. The spell-check button only becomes usable when you've typed at least one character. WA does not respect time zones. It is setup for the American domestic market and our use of it is actually outside of their use case. So when making a post wherever you are in the world the time that you see should be UK time.